Find the best Atlanta emergency plumbers for any sudden plumbing problem, day or night. Everyone should have the number of reliable Atlanta emergency plumbers saved in their address book. Plumbing problems always manifest at the least ideal, most inconvenient times. Emergency plumbing issues often form out of seemingly thin air. Do you know who you would call if the water heater floods your basement at 2 am? 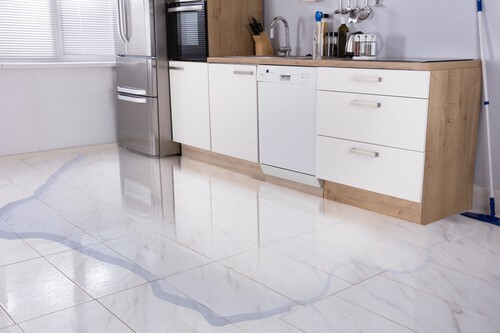 Are you prepared in case the toilet overflows all over the new bathroom floor? While we hope these situations never happen to you, they are commonplace for plumbing companies. The best plumbers are always on-call. Many plumbing companies even offer 24/7 emergency service to their customers. Don’t hesitate to take advantage of these extended hours if your pipes act up. The goal is to repair the problem before it causes more costly damage to your home. It doesn’t matter if you place a call to a 24/7 plumbing company at noon or 4 am, a live person should quickly answer your call. Plumbing companies that offer emergency assistance expect phone calls at all hours. There is always someone on duty who monitors the phone lines. Don’t feel shy or nervous about dialing the number. You’re not bothering anyone, and a great plumber honestly wants to help you out. Whoever answers the phone should gather all the information about the problem you’re experiencing. Give them every detail possible, as this will help paint a clear picture of what’s going on with your plumbing. In some instances, they may offer suggestions on how to lessen the situation. If the problem can wait until regular business hours, they will schedule an appointment for a more convenient time. If your home is in danger of flooding, however, they’ll dispatch the plumber right away. Never try to DIY the situation, as you may turn a simple plumbing problem into something much bigger—and more costly—to resolve. You should address any plumbing emergency immediately. If the faucet in the shower breaks, you need someone to turn off the water to prevent flooding. When the sewage line backs up, it can pose a health hazard to your family and pets. If the problem can’t wait, an emergency plumbing company should get there as soon as possible. After placing an emergency service order, the dispatcher should provide you with a reasonable arrival time. If the plumber is running behind for any reason, they should contact you immediately. The best plumbing companies are the ones that keep an honest and open line of communication with every customer. When the plumber arrives at your location, make sure they properly identify themselves. Most plumbers have marked company vehicles, ID badges, or business cards. Always ask to see identification before you invite them inside. This is for your own protection. After all, you wouldn’t open your doors to a complete stranger in the middle of the night, would you? Always know who you’re dealing with before hiring an emergency plumbing company. While the majority of plumbers are honest, good people, there are always a few bad apples out there. Research the company beforehand to ensure you’re working with a plumber who has strong morals and positive customer reviews. In order to work and operate in the state of Georgia, all plumbers must have a current plumbing license. Not just anyone can open a plumbing company and accept work. In fact, it takes several years for someone to earn a license as a journeyman. It takes even more training and experience to become a licensed master plumber. Only a master plumber can run their own plumbing company, and all journeymen must work under a master plumber. An honest emergency plumbing company should provide you with their license number. You should also verify that the company is fully insured and bonded. Insurance protects both you and the plumber in case someone gets injured while they’re working at your home. A surety bond protects you from additional expenses in the event of faulty work, damage to your property, or stolen valuables. The best rule of thumb is to never do business with a plumber who isn’t licensed, bonded, and insured. You want a plumber who is able to fix the problem right the first time. There’s nothing worse than paying for a repair, only to discover a few days later that the plumber took a few shortcuts. The best emergency plumbing companies are ready for anything. You should expect them to have everything needed to diagnose and repair the issue. This means bringing all the required tools, parts, and equipment. If your toilet is overflowing, for example, you would expect the plumber to bring a few spare replacement parts. If they show up empty-handed, how are they going to get the job done? This is another reason why it’s so important to provide as many details as possible to the dispatcher who took your service call. It’s important to note, however, even the most skilled plumbers can’t resolve every problem instantaneously. For example, don’t expect the plumber to have an extra water heater on hand for an emergency service call. If you end up needing a new water heater, the plumber should provide you with several model options. They may explain the differences between a standard water heater and a tankless one. Once you decide on a model, they will schedule another appointment to install it. A great plumber won’t leave an emergency appointment without stabilizing the situation. 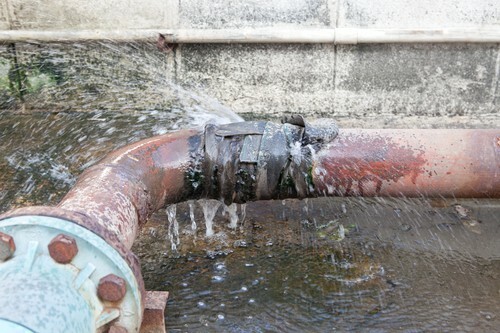 This may include closing the water valves or turning off the main water line. If there is flooding, they will help you mop up the water. They may even show you how to dry out your home to prevent more damage or mold. Before they leave, expect the plumber to clean up their mess. After an emergency service call, you’ll most likely hear back from the plumber in a few days. This shows they value your business and aim to keep their customers happy. Honest plumbers want to make sure you’re pleased with the work they provided, even if you called them before sunrise. If something still doesn’t seem quite right after the repair, don’t hesitate to let them know. Many plumbers guarantee their repairs and parts for a certain amount of time. They are more than willing to come back out and make things right. If you’re displeased with the service you received, let them know. Retaining customers is important, and the plumber wants to build a lasting relationship with you. If you’re pleased with the plumbing services you received, a review is always welcome. Be sure to tell your friends and family. Word-of-mouth recommendations are very effective. Additionally, the more people you tell, the more business the plumber is likely to receive. This means you know your favorite plumbing company will be in business for years to come! For over 50 years, Morningside Plumbing has provided superior plumbing service in Atlanta. We hold ourselves to high standards and morals. As a family owned and operated business, it’s important that we always put our best foot forward. Our services are available 24/7, and you’re guaranteed prompt and courteous service at all times from our experienced plumbing staff. Whether you need us day or night, you’ll get friendly service from a skilled plumber. 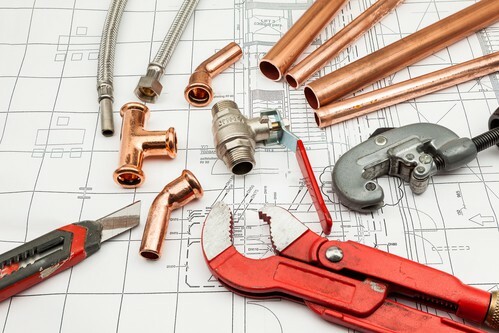 We’re proud to offer a full menu of plumbing services here at Morningside Plumbing. It doesn’t matter if you need us to unclog a shower drain or completely re-pipe your home, we’re the team for the job. We provide unsurpassed emergency service, and there’s no challenge we can’t handle. If you have frozen pipes or a suspected sewage leak, click or call 404-873-1881 for reliable Atlanta emergency plumbers.